2. Click the form of which you need to get the submissions and then click on Submissions button. 3. 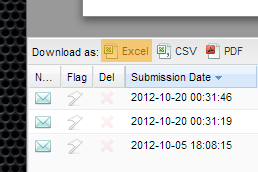 Then click on the Excel/CSV/PDF link.